At The Stone Clinic in San Francisco, we've seen athletes make a full recovery from a ruptured Achilles. 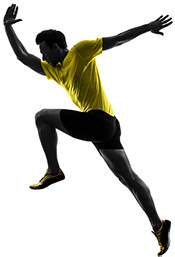 http://www.stoneclinic.com/achilles-tendon The way we treat the injury is different from most other places, (including the clinic that operated on Kobe Bryant). The most common approach is to open up the wound, unfortunately losing valuable cells and growth factors that the body has produced around the injury site to begin the repair process.